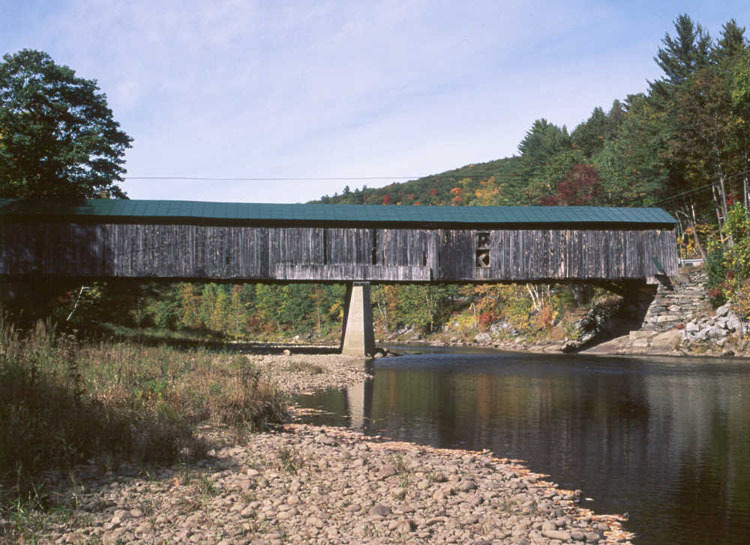 The Scott Bridge is reputed to stand over one of the best swimming spots on West River. Indeed, a rope is often seen hanging from the span under missing sheathing planks. The bridge was named for the former Henry Scott homestead at the west end.